The Whitstable Society will host a ward hustings for Gorrell Ward at 6.30 PM on Friday 24th April at St Johns, the Methodist Church in Argyle Rd. Gorrell Ward is the combination of most of the old Gorrell Ward and the now defunct Harbour Ward. This may be the first ever ward hustings in Whitstable. All parties are attending , with about 15 candidates in total: UKIP, Greens, Lib Dems , Conservatives , Labour, the Trade Union party and one independent (former Labour). Candidates who wish to make a statement will speak for about 3 minutes each in the first half of the meeting. Copies of what they will say may be found on http://www.whitstablesociety.info/home/Hustings2015 a few days before the meeting if a posting is requested. In the second half of the meeting, the public can ask any question they wish. 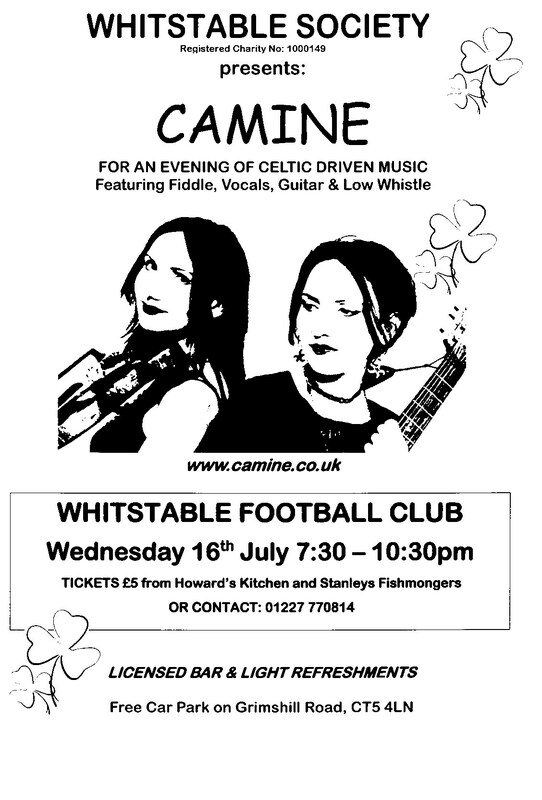 Questions can be submitted in advance to chair@whitstablesociety.info Angela Boddy Chair of the Whitstable society. 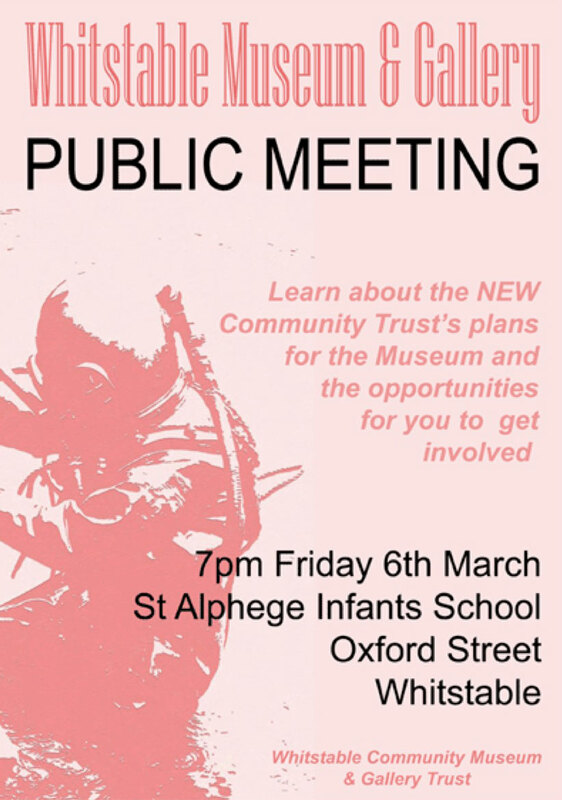 Please note that on Friday 12th September there will be a public meeting about the future of Whitstable Museum at St Alphege Infant School, Oxford Street, starting at 7pm. By now, all members should have received their membership cards for 2014-15. The card lists the programme for this year’s monthly members meetings at The Castle. This Saturday ( the 25th January) the committeee will be meeting to put forward ideas and suggestions for potential guest speakers at our monthly meetings. We are very interested to hear any suggestions that you may have regarding the topics you would like to be covered, or indeed recovered. If you are paticularly interested in a subject and would like to hear from someone about it please let us know. You may of course be willing to speak yourself on a subject that you believe would interest others, or you may know someone who would be willing to come along and share their knowledge. Please let us have any suggestions or ideas and any contact details prior to 25th so we can consider the options available, and put together a programme that you as members want. There is to be a public meeting this week to further discuss the possible future of the Whitstable Museum. The meeting starts at 7pm on Friday 17th January at St Alphege School in Oxford Street, Whitstable. Should you be unable to attend, but are able to offer any skills, are interested in becoming more involved, or would like to find out more about becoming a volunteer for the museum, please let us know and we will forward your details on to the museum steering group. Please note that we have an additional meeting this month which will be held on 27th November at The Community College, Belle Vue Road, starting at 7:15pm. We have arranged for Anne Barnes, Kent Police Commissioner to speak and take questions. The meeting will be open to the public, hence the change from our normal venue of The Castle. This meeting is open to all, the venue has a large seating capacity and is on the ground floor. It will be an opportunity to raise any relevant questions or concerns that you may have relating to policing issues.